John Bengtson, the author of Silent Visions: Discovering Early Hollywood and New York Through the Films of Harold Lloyd, will present a screening of Speedy on Sunday, October 16, at the Museum of the Moving Image (with live music by Donald Sosin). 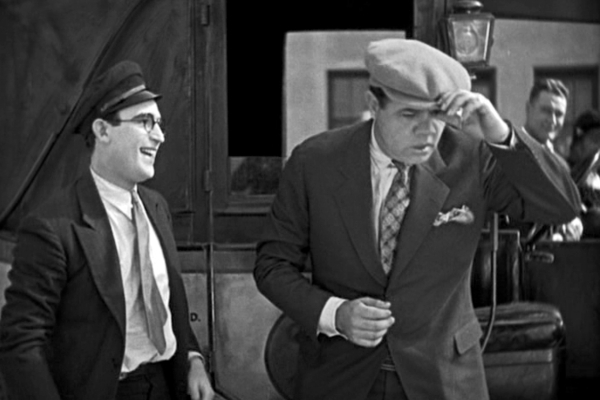 Although the movie industry had its roots in New York, and some Hollywood studios retained facilities there, Harold Lloyd's feature comedy Speedy (1928) is one of the few pre-talkie movies to be filmed so extensively on location in New York. 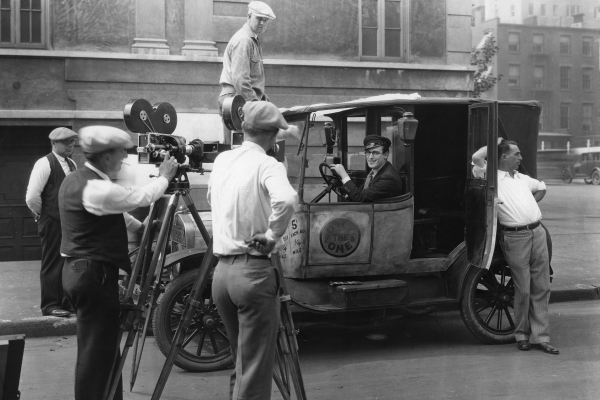 Instead of relying on stock footage of Manhattan settings, as commonly used in Hollywood productions purporting to take place in New York, Lloyd and company arrived in town in mid-August 1927 for an intended four-week shoot, and ended up filming for 10 weeks instead. With three separate chase sequences appearing in the film, and lengthy scenes staged at Coney Island and Yankee Stadium, the resulting movie presents the Big Apple from top to bottom in loving detail, and captures some of the best photographic documentation of silent-era New York ever recorded. Speedy depicts an especially exciting time in New York history, the summer of 1927. By then the Great War was a memory, the Jazz Age was in full swing, and Manhattan's ongoing building boom crowded the skies, setting the stage for the iconic Chrysler and Empire State Buildings that were soon to come. In 1927, Duke Ellington began playing at Harlem's Cotton Club, Coney Island's wooden rollercoaster masterpiece, the Cyclone, began its 45-year reign as the world's fastest, and the '27 Yankees, arguably the greatest baseball team of all time, swept the Pittsburgh Pirates 4-0 in the World Series, capping their 110-44 wonder season that set scores of individual and team records, including Babe Ruth's monumental record 60 home runs. Lloyd plays title character Harold "Speedy" Swift (Lloyd's real-life nickname), a soda jerk who loses his job, then spends the day celebrating at Coney Island with his girl Jane (Ann Christy). Speedy's next job as a taxi-cab driver ends disastrously, but not before he takes Babe Ruth (in a cameo appearance) on a wild ride to Yankee Stadium. Jane's grandfather Pop runs the last remaining horse-drawn trolley franchise in New York. Shady developers wish to buy out Pop's interest, but when he refuses their low offer, they steal his trolley, knowing the franchise will expire if the trolley does not run at least once every 24 hours. Harold recovers the stolen trolley, and in a wild cross-town chase, arrives in time to save the franchise, which Pop then sells for a hefty sum. 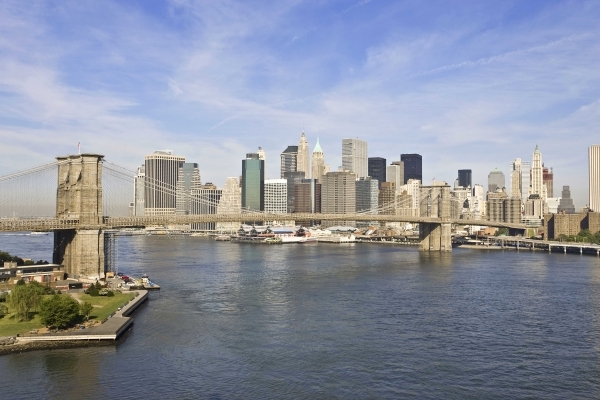 Speedy opens with several establishing shots of New York City landmarks, including this classic view of downtown framed by the Brooklyn Bridge. Standing prominently at the right of the movie frame is the 57 story neo-Gothic Woolworth Building (1913), at the time the world's tallest structure. Today it is crowded by many neighbors. The Singer Building (1908-1968), the tallest building ever demolished for a newer replacement, stands in the movie frame to the left of the right bridge tower. 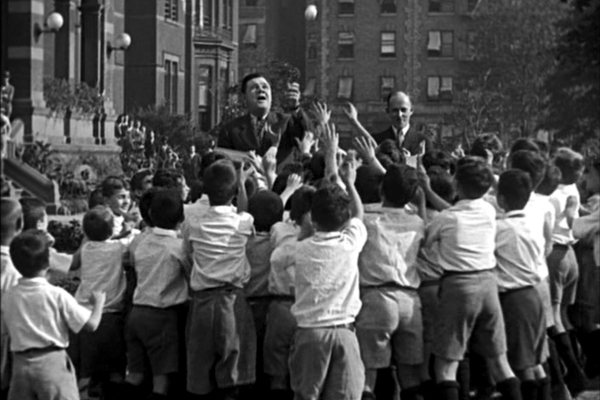 Lloyd was immensely popular, and encountered huge crowds everywhere he filmed in New York. Lloyd sometimes hid cameras in a laundry wagon to capture street scenes on the fly, but otherwise relied on policemen to keep the onlookers in check. As his own producer, Lloyd could afford the time and money needed to get the authentic shots he desired. 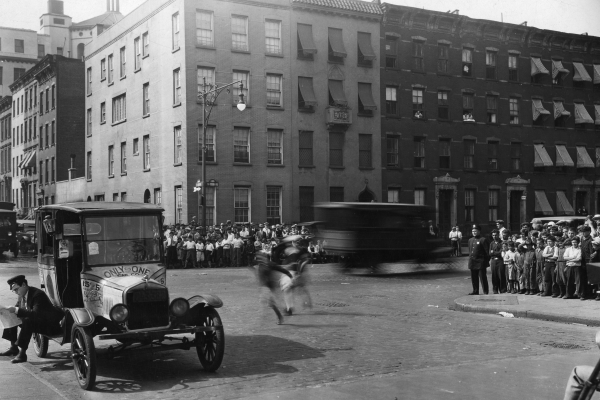 Although Buster Keaton shot a few scenes in New York for his first MGM feature, The Cameraman (1928), the expense and difficulty of location filming forced Keaton to complete the project at home. 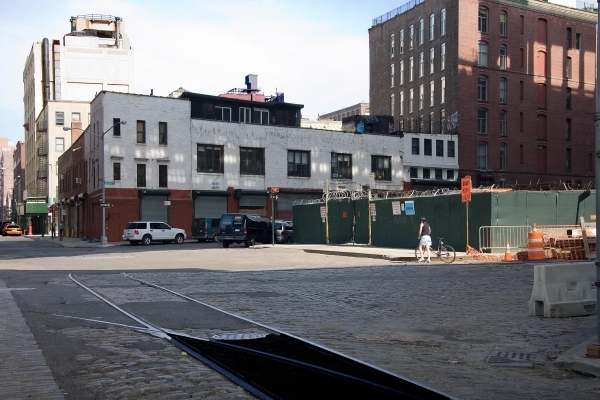 None of the buildings pictured here at the NW corner of E. 58th Street and Sutton Place, above, remain standing. 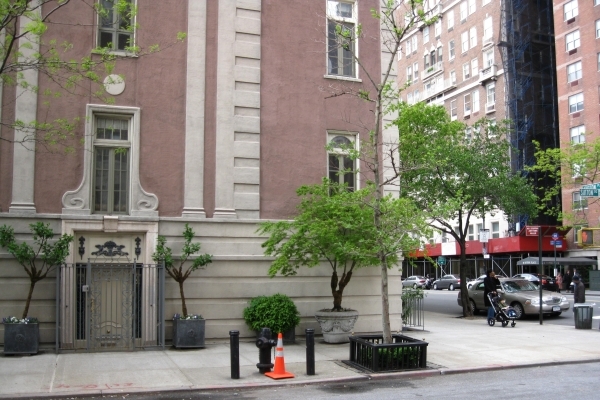 However, the building at the opposite SE corner, pictured behind Harold below, remains unchanged. At least four different amusement parks, two located in California, were used to film Harold's Coney Island excursion. 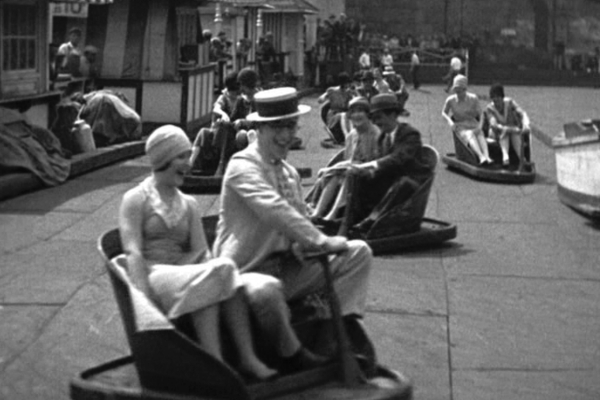 The majority of the rides were filmed at Luna Park on Coney Island, including the Airplane, the Bug, and the Shoot the Chutes, while the film also shows the Chanticleer Carousel and the Steeplechase Ride at nearby Steeplechase Park. 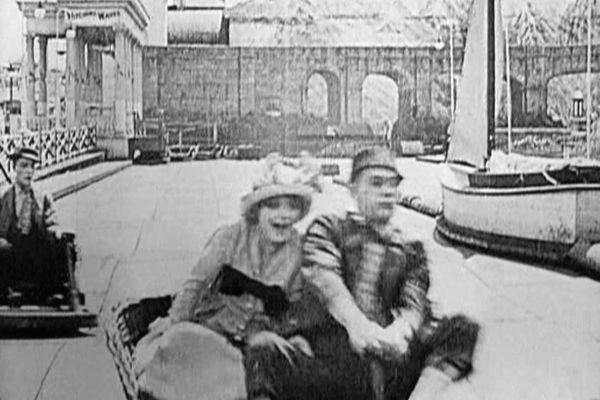 Above, Harold and Ann Cristy enjoy the Witching Waves, a Luna Park ride propelled by undulating waves induced by reciprocating levers under a flexible roadbed. Ten years earlier Buster Keaton, Alice Mann, and Al St. John enjoyed the same ride in the Roscoe "Fatty" Arbuckle comedy Coney Island (1917). Except for the rides filmed on Coney Island, most of the scenes where Harold interacts with other park patrons and food vendors were actually filmed near Hollywood, at the Abbot Kinney Pier in Venice, California. Likewise, the movie's interior fun house scenes were not filmed at the famous Temple of Fun at Coney Island's Steeplechase Park, but at the Ocean Park Fun Palace in California, just north of Venice. This same Ocean Park fun house is where Clara Bow and Antonio Moreno filmed their faux excursion to Coney Island during Bow's signature-role film It (1927). 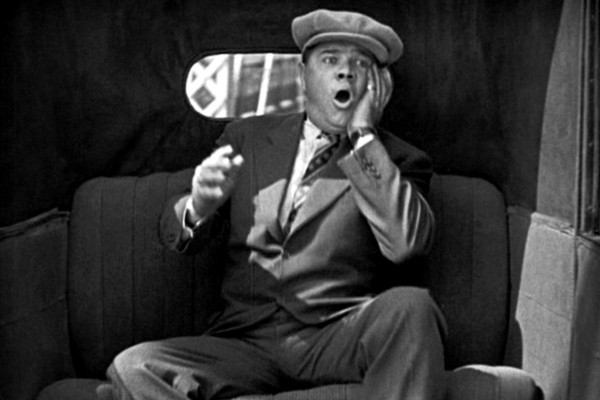 Prior to Babe Ruth's appearance in the movie, a couple of police detectives commandeer Harold's taxi, and order him to chase a thief. Lloyd filmed several shots of the taxi speeding east along East 34thStreet between 5th Avenue and Madison Avenue for this sequence, and edited them into the movie in scrambled order. 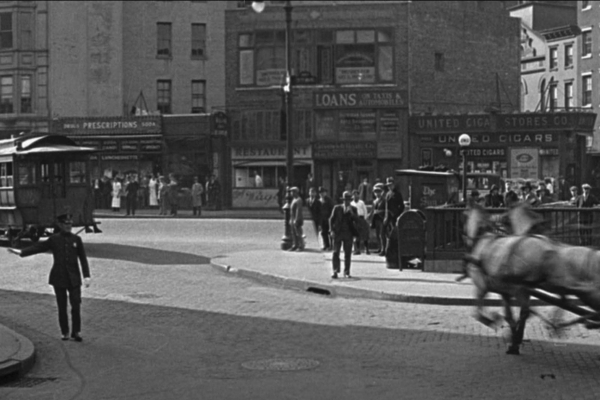 The movie frame and modern image both look west down East 34th Street from near Park Avenue toward Madison Avenue. 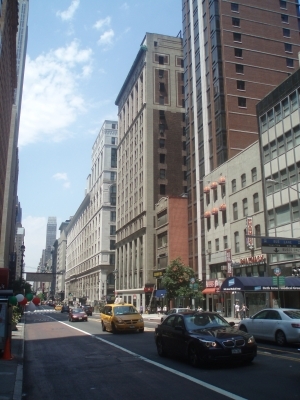 The former Altman Department Store (rectangle), running the length of E. 34th Street between 5th and Madison, now houses the City University of New York (CUNY) Graduate Center and a branch of the New York Public Library. The parapet roof of 45 E. 34th Street evident in the movie frame still appears today (ovals). After tossing out autographed baseballs at the former Hebrew Orphan Asylum (now a park), adjacent to the City College of New York in upper Manhattan, Babe flags down Harold's taxi for a ride to Yankee Stadium nearby, just east across the Harlem River in Queens. Intent on delivering Babe to the game on time, but distracted by Babe's celebrity, Harold sets off on a wild ride across Manhattan, scaring Babe half to death. Via the magic of film editing their ride jumps impossibly from the orphanage on Amsterdam Avenue, northwest of Central Park, to 5th Avenue, southeast of Central Park, where they traverse seven different blocks of that swanky street in random geographic order. Harold and Babe then jump back over to Amsterdam Avenue, 50 blocks further south from where they started, before jumping northeast to the Macombs Dam Bridge that leads them safely across the Harlem River to the front of the stadium. 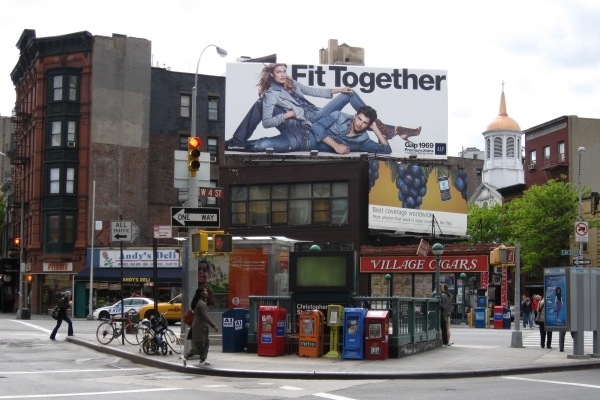 Nearly all of the landmarks along Amsterdam and 5th Avenues appearing in Speedy remain unchanged. However, the original Waldorf-Astoria Hotel, at West 33rd and 5th, also caught on film, was demolished in 1929 to make way for the Empire State Building. 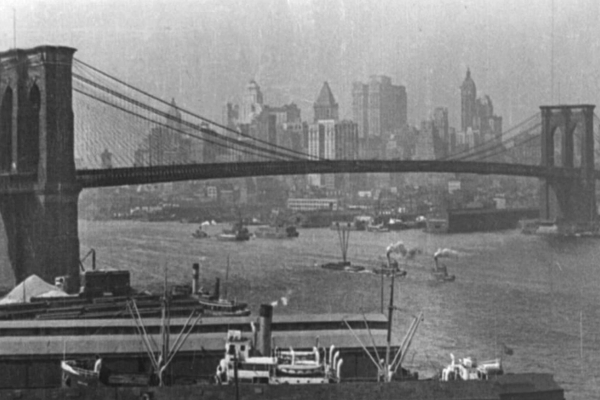 Babe's reaction shot (above) was likely filmed while traversing the Macombs Dam Bridge (notice the bridge girders at back), as he sat in a prop taxi-cab, cut in half, driven around on a trailer. The bright sunlight streaming through the "roof" clearly reveals this bit of movie magic. The rear projection technique for filming interior shots within traveling cars was not commonly used before the arrival of talking movies. Babe was no stranger to films, having already starred as himself in Headin' Home (1920) and in Babe Comes Home (1927), the latter directed coincidentally by Ted Wilde, the credited director of Speedy. Harold delivers Babe safe and sound to the front entrance of Yankee Stadium. 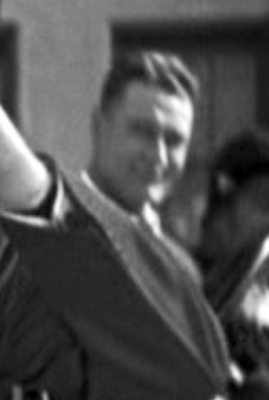 As Babe regains his composure following the harrowing ride, a smiling Lou Gehrig saunters by for a cameo within Babe's cameo! 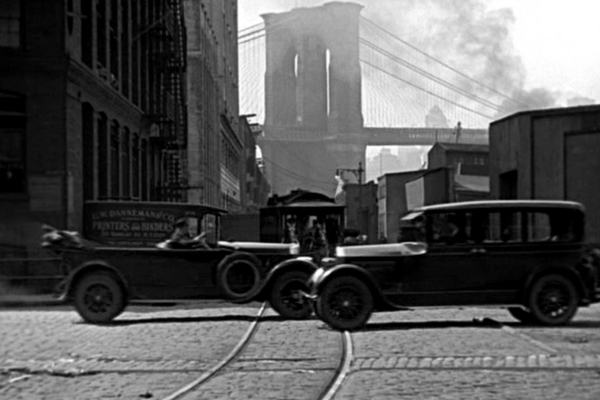 Lloyd staged a stunt in Brooklyn under the shadow of the Manhattan Bridge, racing his trolley between a pair of oncoming cars, while two cameras filmed the stunt from opposing vantage points. The resulting footage appears as two different scenes in the movie. 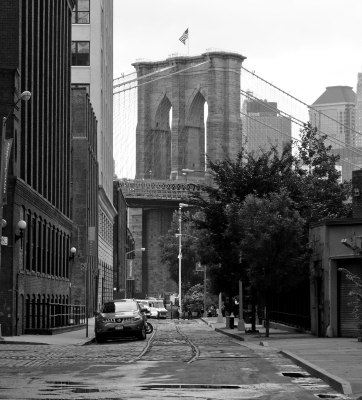 One scene looks west (above, left), as the trolley races from the Brooklyn Bridge east along Plymouth Street from Washington Street toward Adams Street; the other scene (below, left) looks east, as the trolley races east under the shadow of the Manhattan Bridge. It appears that every vintage building in both shots is still standing. Having recovered Pop's stolen trolley, Harold races home from Grove Street and 4th Street, past the Christopher Street Sheridan Square subway entrance, toward 7th Avenue, a few blocks west of Washington Square. Notice the policeman in the movie frame keeping the crowd at bay. The dome tower and spire evident in the modern photo is St. John's Lutheran Church at 81 Christopher Street, built in 1821. As the film concludes, Harold returns the trolley in time, Pop sells the franchise for a fortune, and Harold and his girl contemplate marriage. 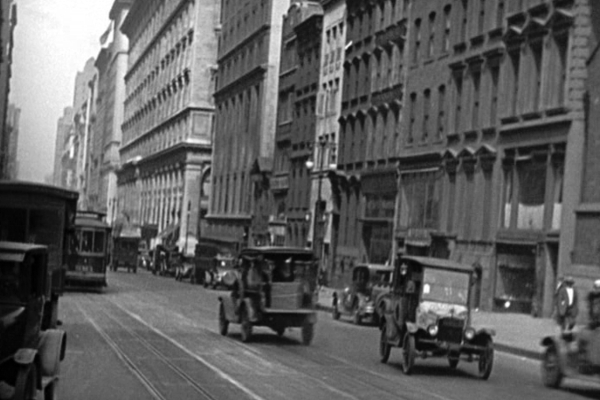 So ends Lloyd's final silent film, and our journey through silent-era New York. Constantly evolving and changing, the city that doesn't sleep will never pause long enough to pose for a formal portrait. 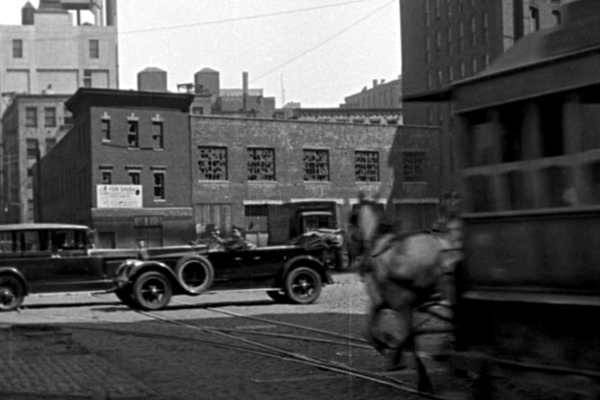 Yet Harold Lloyd captured remarkably vivid impressions of New York when he filmed Speedy there in 1927, and his silent visions of that bygone era are preserved forever in the background of this amazing film. This article also appears in the October 2011 issue of Classic Images Magazine.